1. It’ll change your perspective. When you learn that the life expectancy is Afghanistan is 46, or the income per person in Burkina Faso is $578/year, it’s hard to look at your life without gratitude and a sense of stewardship. Learning about the persecution and isolation Christians experience elsewhere also puts our suffering in perspective and helps us appreciate the local body of believers. It’ll open your eyes to the needs of the world that’s likely to spark not only gratitude, but also action. 2. The subtitle. Praying for the world is an overwhelming task. No one really knows where to start. But the yearly reading guide suggested in Operation World makes it possible to pray intelligently and effectively for every nation in the world in one year. Or make it a two-year endeavor, or an on-going family or cell group project. However you approach it, Operation World is the best way to get started in global prayer. 3. The country overviews. Operation World really is an amazing reference work. It includes an overview of each continent, reviewing the trends of the past decade or so and providing general prayer points. Then it moves alphabetically through each country in the world, providing a map, information on geography, people groups, economy, politics, and religion, including graphs depicting growth of world religions and Christian denominations. Large, diverse countries like China and India have a wealth of information broken down by state/province. Disclaimer: the author is up-front about the obviously skewed religious statistics, since the it’s based on those who identify themselves with that religion. For that reason, Christianity often appears more widespread than it really is in Western or evangelized nations. But the book helpfully provides the percentages of denominations, evangelicals, and charismatics, giving a more accurate picture. 4. The values. This book tries to steer clear of oft-debated doctrines within Christianity, but the author clearly appreciates indigenous leadership, house churches, church-planting movements, lay-led ministry, and discipleship. 5. The “Challenges for Prayer.” While the stats are very informative, I’ve learned the most from the Challenges for Prayer, which are specific to each country but general enough to remain timely for probably the next decade. These prayer requests include information about the state of the church in that country. 6. The “Answers to Prayer.” These updates about evangelism, church-planting, Bible translation, and the like are very encouraging reminders that prayer works. Reaching the world is not a lost cause, and anyone can support cross-cultural and national workers through prayer. 7. It’s radical. 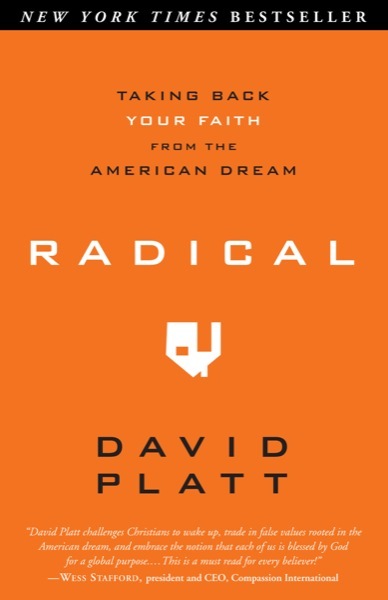 The New York Times best-selling book Radical, by David Platt, is an awesome call to “taking back your faith from the American dream,” and one of the five “radical experiment” challenges is to read through Operation World. 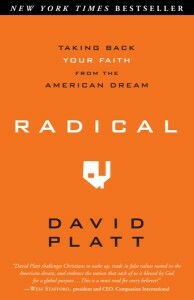 Platt, a missions-minded mega-church pastor, said this book changed his life and his church, leading to much missions giving, going, and sending. Prayer is an act of rebellion against the status quo, so join the revolution! 8. It’s an amazing resource. If you’re supporting a missionary in another country, or even just considering this, you can easily read up on that place. Or learn more about a country making the headlines. When you meet someone from another country, you can find out more about the spiritual climate there than you’re likely to learn from Google. Use it in cell groups, discipleship, or family time to raise awareness and fuel prayer, or feature a country at the Missions Prayer Breakfast. 9. It’s easy to read and well-written. To get through it in a year requires about 10 minutes of reading every day. 10. It’s a great value. Currently priced at $14.56 on Amazon, this nearly 1,000-page resource is a steal. Check it out on Amazon, or hopefully at the CT book table soon! How many outfits does it take to get to California?